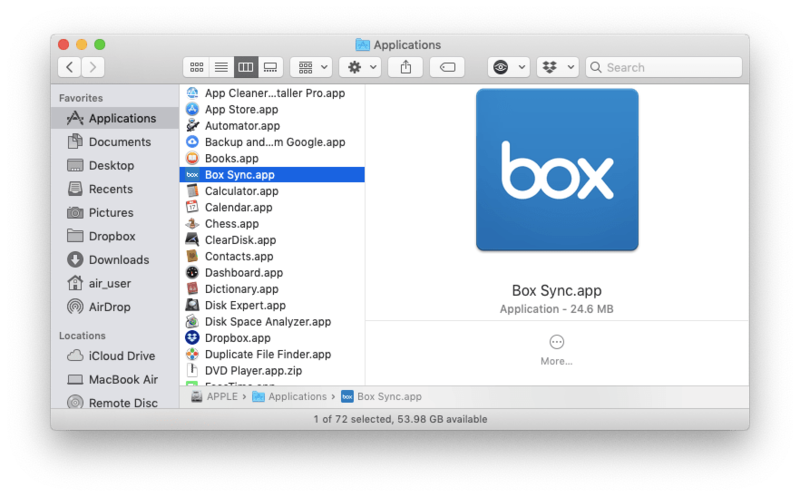 The Box Sync application for Mac allows you to synchronize data from your online Box storage with your computer. 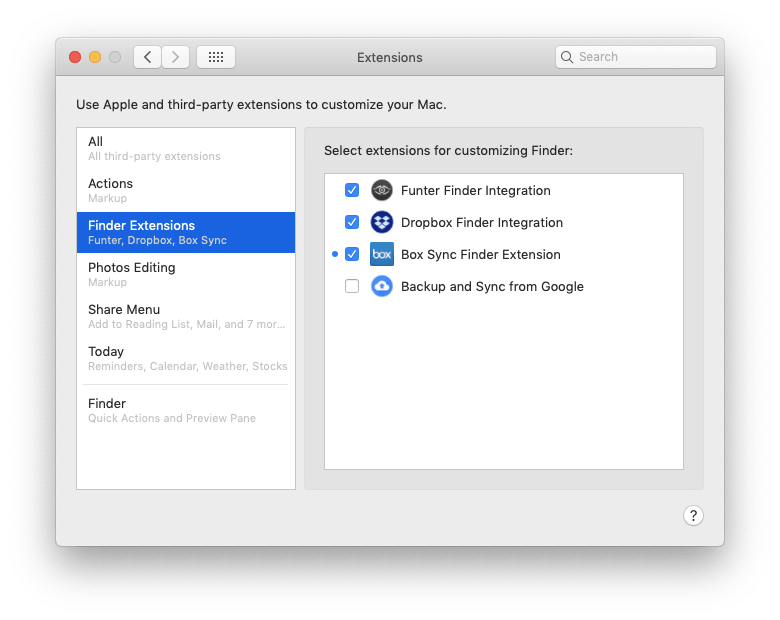 If you decide to delete Box Sync on your Mac, for example, to free up your disk storage, there are several ways you can do this. 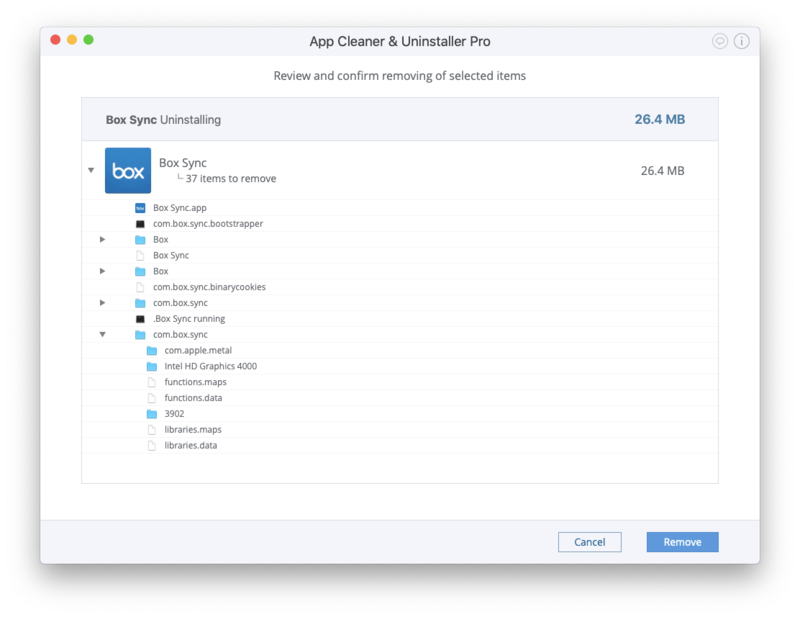 In this post, we want to highlight two methods of completely uninstalling Box Sync on a Mac. Manually remove Box Sync from a Mac. Uninstall Box Sync on a Mac automatically. Quit Box Sync. For this, click on the Box Sync (small b) icon in the menu bar and select Quit. Open the System Preferences → Extensions → Finder → find Box Sync Finder Extension in the list of the items and untick it. Open the Applications folder → select Box Sync.app → remove the executable file by dragging and dropping the Box Sync icon to the Trash. Delete the Box Sync folder on your Hard Drive if you do not need your files synchronized in the folder. By default, it is located in your user’s folder, Users/username/Box Sync. But you may have moved it to another place for your convenience. In this case, use the Finder’s search bar and type Box Sync to find and delete this folder. 5. Complete the Box Sync removal by emptying the Trash bin. Select the Box Sync app from the list of items in the Applications tab. All it service files will be selected automatically. Click on Uninstall to get rid of the app and its service files. Computer technologies are improving quickly, making our lives easier. Considering all the software tools we use, why not use an app uninstaller to save time and protect your computer? App Cleaner & Uninstaller is a handy program for Mac users, which removes apps quickly, correctly and completely. To get started, you can download a free trial of App Cleaner & Uninstaller and try it right now. However, you can always use the manual method if you have extra free time.